Remember how so many complained about LeBron James’ open distaste for the Cleveland Cavaliers’ “top-heavy” roster? And how many more assume the team, specifically general manager David Griffin, would be unhappy with his demeanor? There was some uneasiness within the locker room after James’ candid rant. Players were awkwardly left wondering whether they were part of the problem or part of the solution. 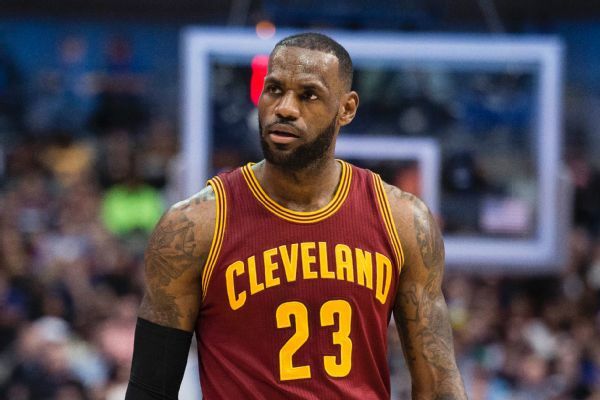 Despite the internal conflict, with the liberty of hindsight, the front office now believes James was brilliant in lashing out and considers it one of the turning points of the Cavs’ season. As he’s progressed through his career, James has certainly gotten better at sub-leadership. And he definitely deserves kudos for lighting a fire under the Cavaliers. But let’s also credit Griffin here, who did a lot with very little. More than that, he didn’t cave the second LeBron’s complaints left the tip of his tongue. He orchestrated the Kyle Korver trade and was opportunistic in picking up Derrick Williams, but managing the roster so that it was possible for the Cavaliers to turn Jordan McRae and Chris Andersen into Deron Williams and Andrew Bogut was a big deal. Waiting for the buyout market to develop without rushing into contracts for Marion Chalmer- and Norris Cole-types allowed the Cavaliers to reach this point, where they’re much deeper and, thus, much better equipped to make another NBA Finals run. Whatever happens on the court, yes, give LeBron all the praise. He has to make something out of whatever the Cavaliers give him, and this additional depth is a recent development. But, again, let us also applaud the man behind the man, who, at times, must make tough decisions to wait, to remain patient, when the man in front of him is trying to dictate otherwise.